Miss Mani Monster! : All Love for All Love Garden! All Love for All Love Garden! 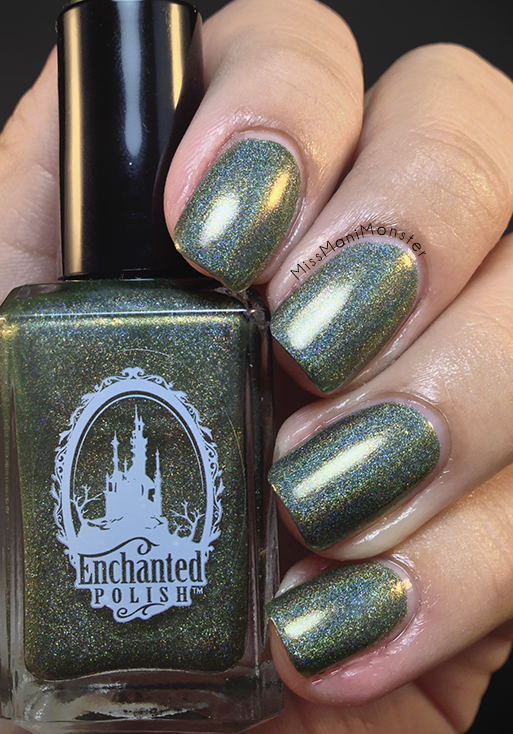 The happiest hump day of all time: I am finally able to present you with a swatch of a longtime lemming of mine: Enchanted Polish's All Love Garden. 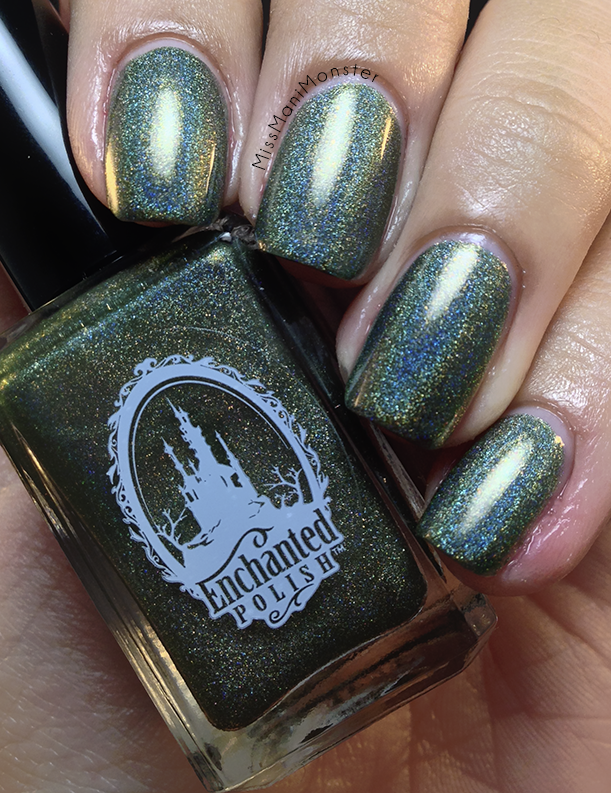 This gorgeous deep green holo with a gold sheen is exclusive to Mei Mei's Exclusives, a Singapore-based nail polish retailer. I was finally able to snag one during the last "unannounced" restock, and it's every bit as beautiful as the pictures I've seen! Do you have any lemmings that seem impossible to get your hands on? Let me know in the comments!